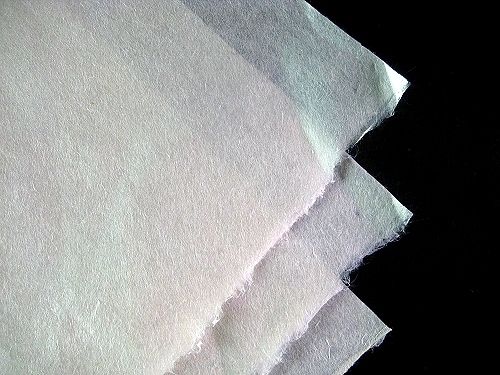 New to our range of Japanese Papers, Kizuki-Kozu is a 17gsm Repair Tissue. It is Machine-Made from 100% kozu, off-white in colour and has long, strong and soft fibres. It is absorbent, has a neutral pH and is calcium carbonate buffered. Sheet size : 910 x 600mm (short grain) cut from 50m x 91cm rolls.